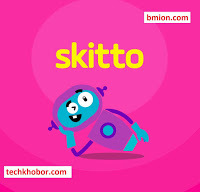 Recharge skitto sim from your bKash account! Then select "mobile recharge" and select "Grameenphone". Under "Grameenphone" you will get the "skitto" option. Simply type the amount you want to reload and enter your bKash PIN to confirm. Also, now you can earn skitcoins if you reload tk 50, 100, 200 or 300!